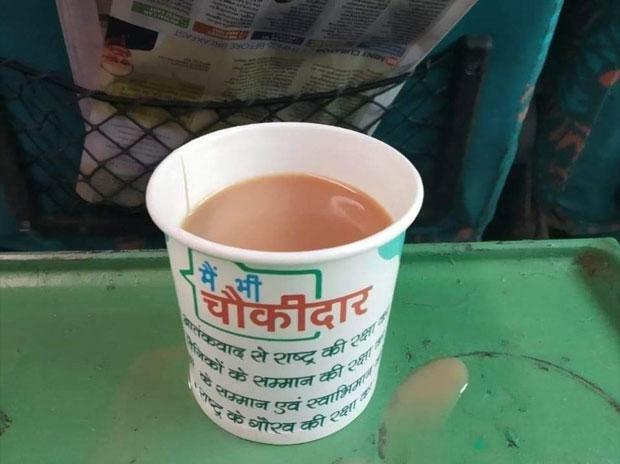 The Election Commission is learnt to have issued a fresh show cause to the Railways, this time on the use of paper tea cups with "main bhi chowkidar" slogan. "Reports that tea has been served in cups labelled as 'main bhi chowkidar' have been investigated. This was without any prior approval of IRCTC. An explanation has been sought from Supervisor/Pantry Incharges over lack of devotion to duty. Rs 1 lakh fine has been imposed on the service provider. Show cause notice has also been served to the service provider for this misconduct," said IRCTC in a statement on Friday.